The earth has been a witness to many soldiers of nature. They come occasionally to damage the human ego of being superior to nature and also to make us realize the amount of damage we are inflicting in this world. From deforestation to forest fires and from droughts to floods, all of which are directly or indirectly caused by humans overstepping their boundaries. These natural disasters not only claimed thousands of lives but also bring down the entire economy that we so carefully have designed and orchestrated. On August 30, 2017, people of Cape Verde Islands were victims and witnesses to the strongest hurricane observed in the Atlantic since Wilma in 2005. 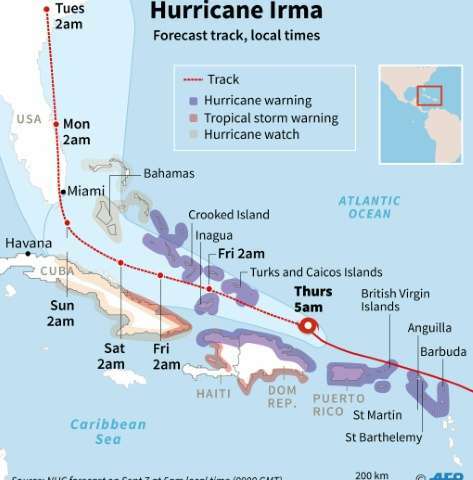 Hurricane Irma was a Category 5 hurricane that struck the Leeward Islands, the first to do so. It dissipated on September 26, 2017, after leaving an entire continent to pick up the pieces that it left in the wake of its destruction. There are many hurricane Irma facts that are yet unknown to most of us. As of reports, Hurricane Irma has caused at least 134 deaths and catastrophic damage from which recovery is still in progress. Here are 10 hurricane Irma facts you need to know! 1. Hurricane Irma is the third costliest hurricane to occur in the Atlantic and the fourth costliest hurricane ever recorded. It caused damages that were worth more than 100 billion US Dollars. 2. 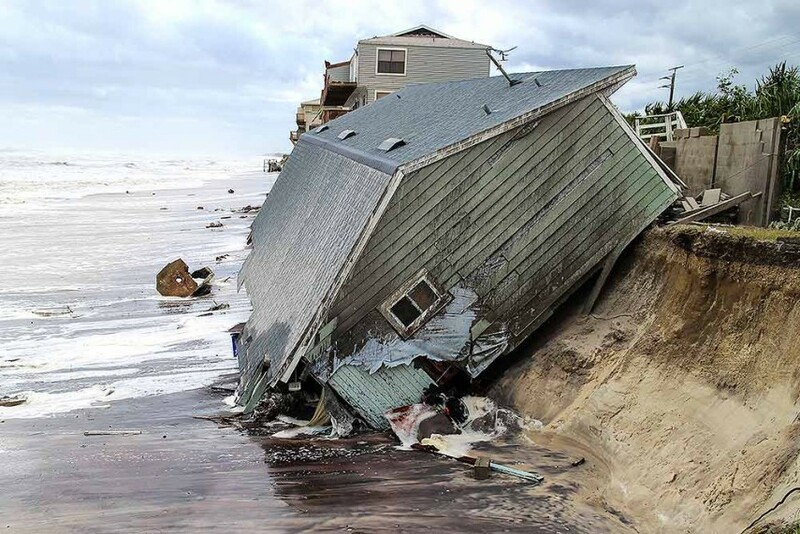 It caused widespread damage in the United States and is the first Atlantic Hurricane to do so since Katrina that caused intense destruction and havoc in 2005. 3. The hurricane Irma timeline began with wind speed increasing from 70mph to 115mph (i.e. 110 km/h to 185km/h) all in a matter of 12 hours on 31st August 2017. 4. The first aircraft reconnaissance mission was sent from Barbados for information regarding the hurricane. It reported that the hurricane had an eye that was 29 mi or 47 km in diameter. 5. Though at first it was recorded to be a Category 1 hurricane, by September 4, it was observed to increase in strength and was announced to be a Category 5 the following day. 6. It also saw the lowest storm pressure in The Atlantic since Dean in 2007 with pressure bottoming out at 914 hPa. 7. According to the data collected by NASA, the surface temperature of the ocean in the path of Irma was above 30°C. 8. Puerto Rico is one of the top hurricane irma affected areas. Puerto Rico was in a state of emergency by September 4. 9. 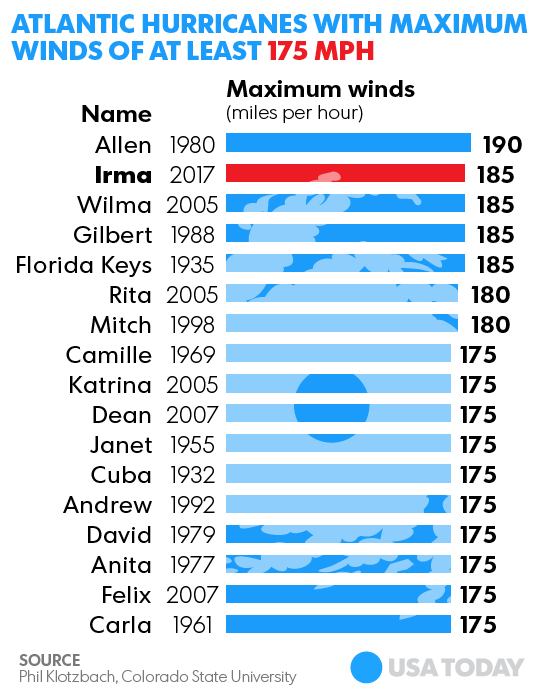 The most interesting hurricane Irma facts is that, it is the seventh most intense landfalling hurricane to be recorded in the United States with a landfall pressure of 929 mbar. 10. The joint impact of Hurricane Irma and Harvey in Florida or Texas saw a significant decline in employment in the United States for the first time since September 2009. One cannot contribute to the prevention of hurricanes, floods and other natural disasters in significant measures but can only pick up the pieces and start anew. Nature continues to hold the spear of power over us and it’s time we understand it and stop trying to disrupt it.